Water - "If ye are prepared, ye shall not fear..."
Water - The source of all life. Do not ignore this vital resource. 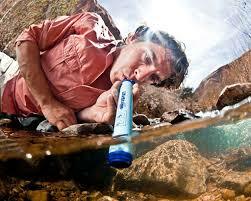 You need a good water filter on many levels. When calamity happens, water gets contaminated. When you use what you have stored, you will need to filter it. If you are lucky to still have tap water, put a good filter on it. 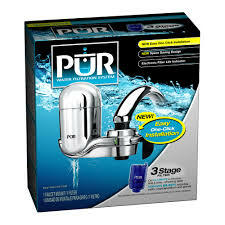 PUR is the top ranked sink filter attachment. Costco and Sam's has filters by the case. 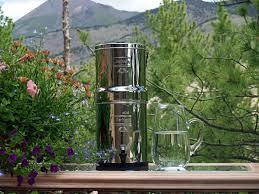 If you can afford it, buy a Berkey. It is a top rated system you can put on your counter about $250. Put a water filter straw or water tablets in your emergency car bag in case you have to walk back home and it takes you a few days. 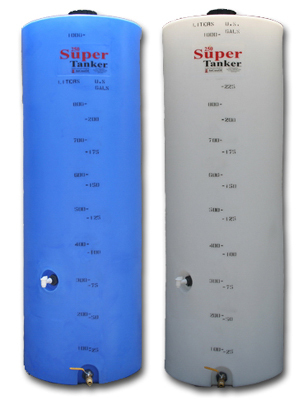 A 250 gallon water storage tank in your utility room will help you get water for when the city water is shut off for a week or more. Storage boxes with mylar inner bag is an inexpensive way to store 5 gallon units that stack. Once a crisis starts, immediately fill up all your sinks and bathtubs if you can. 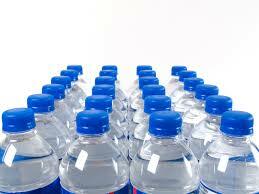 This may be the only water you can get for a few days. You can filter it later for drinking. Water bottles stored and rotated will help to distribute water to others who need help. Emergency Car Bag - "Bug Out Bag"
Where I live we travel 10 to 15 miles to get to the store. It is imperative that we have emergency bags in our cars and a family plan to get help once a crisis hits. We have a "meet up spot" on both sides of the canyon so we know where to find someone on motorcycles (cars/trucks will not work when cars clog up the roads). Good shoes for walking back home. 2-way radio in an EMP proof bag for communicating once a crisis has hit. Set a channel. A water filter for the 1-2 day trip to walk home. A space blanket to keep warm or to cover up if there is any fallout. A respirator mask (painter kind) and some latex gloves to cover up if any fallout. A hoodie for warmth, but to cover the head and face if possible. A small flashlight for walking at dark. A map of the area(s) highlighted should the canyon be closed and an alternative route taken. Child ID info cards. If parents die, children need to be able to be given to family asap. It can take days for police to find, identify or relocate children in a crisis.